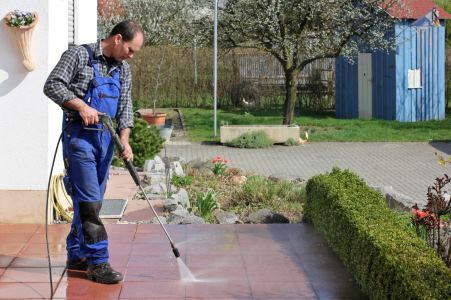 Complete Custodial Care, Inc provides commercial power washing for exterior surfaces, like pedestrian walkways and steps, courtyards, outdoor eating and seating areas, and more. Complete Custodial Care, Inc has been in the commercial cleaning business for more than 22 years. We offer routine pressure washing services for commercial customers. We also offer seasonal cleaning and special event cleaning. Call (281) 747-9344 to schedule one of our knowledgeable commercial pressure washers. Outdoor areas get dirty fast. Complete Custodial Care, Inc offers pressure washing services for commercial clients. Make sure your outdoor commercial space is customer ready. We provide power washing for courtyards, entryways, steps, walkways, and more. Make sure the exterior of your building is clean and safe for your customers, with expert pressure washing by Complete Custodial Care, Inc. Call (281) 747-9344 for a no-cost, commercial pressure washing estimate.